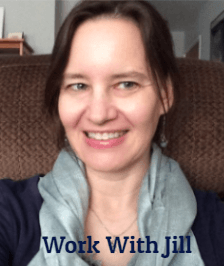 Hi, I’m Jill Winski. I help sensitive people who are feeling stuck, vulnerable or overwhelmed take better care of themselves so they can move forward with their creative work and feel more connected to the world. I believe that self-care and creativity go hand-in-hand. You can’t truly have a healthy relationship with your creativity if you don’t have one with yourself. My true work has been to help myself be more of who I am (and let go of who I’m not) so I can inhabit my life more fully. In my coach role, I help my clients do this as well. My struggles with chronic fatigue, high sensitivity, and creative identity led me to discover the writing of Martha Beck, and to go through life coach training with her. This was an amazing process. 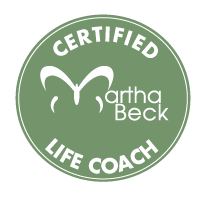 I am a Certified Martha Beck Coach, and I love helping others through their own struggles with creativity, sensitivity, and identity. I’ve been journaling non-stop since I was thirteen. (I can actually look up any week of my life from 1984 onward and remember exactly what was going on for me then!) I’m a big believer in the power of journaling. I have a master of fine arts degree in creative writing from the fabulous graduate writing program at Columbia College Chicago. I have written many short stories. I love writing about the subtleties and complexities in relationships that trip us up and fill us with awe. 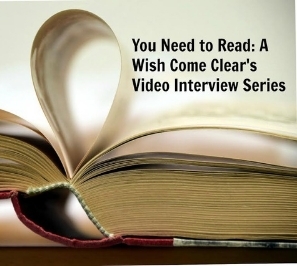 You can read an oldie-but-goodie here. I live with my partner in the Chicago area. I am an introvert and an HSP. I have been owned by cats since I was a teenager. (Nobody owns a cat, right?!) 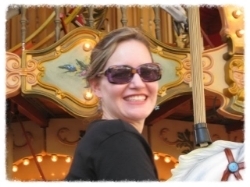 Sullivan, pictured right, became my CEO of curiosity and relaxation when I began my work as a life coach in early 2011. He left us in 2018. You can read more about Sullivan’s role in my life here. Our new cat companion is Genevieve (pictured below). I call her the Queen of Mayhem. She really knows how to stir things up (always in a very cute way!). I love: taking meandering walks and noticing animals and trees. Cats. Capuchin monkeys. The movie Jaws (I watch it once a year on my birthday). Coffee with four creams and no sugar. Tori Amos. Watching Tara Brach’s Dharma Talks on Youtube. Wes Anderson movies. Long conversations with momentum of their own. Cats, cats, cats. Want to stay connected? You can sign up for my newsletter here. Find out about working with me here. Nice to meet you (thanks to Harula’s blog and her post on sensitive and sensible). I wrote a quick little ditty about it. 🙂 And wondrously, my last post was about finding an 8th day in the week just for WONDER. Wouldn’t that be grand? I love the idea of an additional day of the week just for wonder! Beautiful. So glad you found me through Harula’s blog — thanks for stopping by!